The colorful heart-shaped candies with sweet messages printed on the front have been a Valentine’s Day staple since 1866. And unlike many older candy brands, SweetHearts have remained popular with millions of consumers. According to the online retailer CandyStore.com, the little hearts ranked as its number one selling Valentine candy for both 2017 and 2018. Of course, that won’t be the case in 2019 since the brand’s manufacturer recently went out of business. Necco had received several warnings from the Food and Drug Administration about its food safety practices, with the FDA citing unsanitary conditions and “significant evidence of rodent activity.” Unable to find an investor willing to improve the company’s operations, Necco declared bankruptcy and sold its assets at auction. SweetHearts was then sold to an investment firm that closed its factory before quickly selling off the brand to another buyer. Eventually Necco’s most valued product lines ended up getting purchased by the Spangler candy company, maker of Dum-Dums and Candy Canes. Although Spangler has every intention of reviving SweetHearts, building a safe and clean facility to make the candy will take some time. 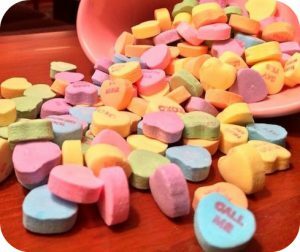 There’s also the matter of the staggering amount of SweetHearts that Necco used to produce each year. According to CandyStore.com’s estimates, the company made 100,000 pounds of the candy every day for 11 months, amounting to 8 billion SweetHearts annually. Spangler CEO Kirk Vashaw said that “it’s just not possible” to have that amount of product ready for this year’s holiday. “Doing it right takes time,” he added. For some SweetHearts fans, though, his excuse just isn’t good enough. “If they can put a man on the moon, they should be able to get little words on those hearts if they really wanted to,” said 64-year-old candy enthusiast Hannah DeRousseau. Why will SweetHearts candies be unavailable to purchase for this upcoming Valentine’s Day? Do you think SweetHearts’ temporary absence from the market will negatively affect its brand image over the long term? Why or why not? Source: Janhvi Bhojwani, “Be Mine? Nope. SweetHeart Candies Hard To Find This Valentine’s Day,” NPR, January 28, 2019.